By creating a Registration Form where attendees will register to receive it. 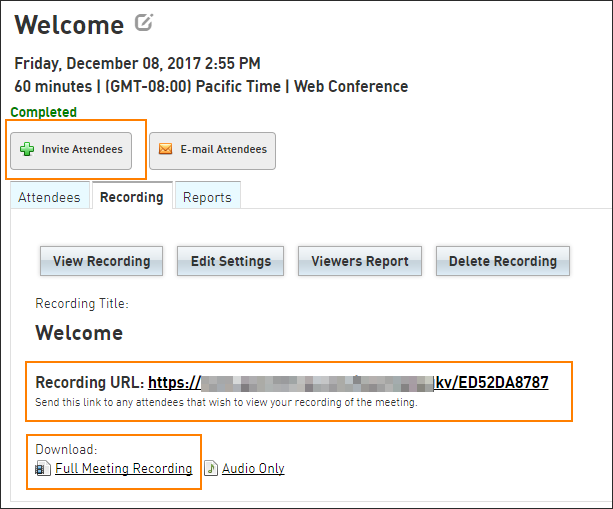 By using the Invite Attendees button where you will email them the link. 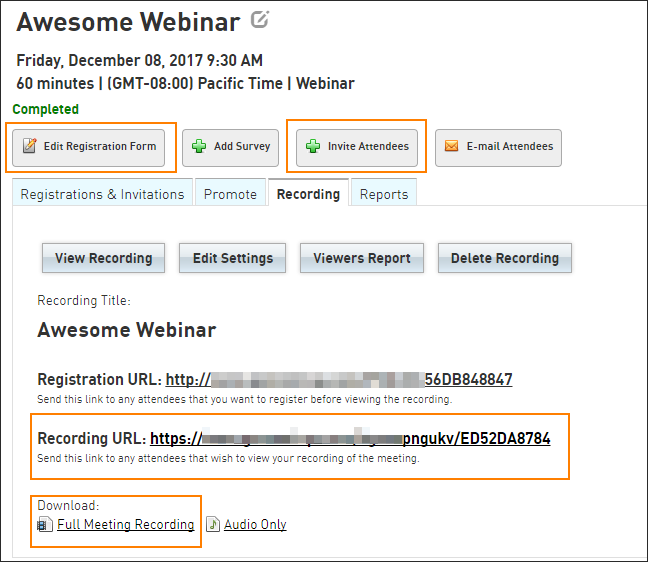 By copying the Recording URL and posting it on your social media pages or website. By downloading your Recording and uploading it to your YouTube or Vimeo channel.